Northern Ireland is the smallest member country of the United Kingdom. It is located on the northeastern portion of the island of Ireland. The country is religiously and culturally divided between the Protestants and the Catholics. The cultural division of the country may stem back to the 17th century during the reign of King James I. During the reign of King James I, Ulster, a province of Ireland, underwent organized colonization known as the Plantation of Ulster. Most colonists came from Scotland and England and were required to speak English and be Protestant. These colonists were brought to Ireland in an effort to prevent further rebellion and resistant to English control. They confiscated land from the native, Irish landowners. According to one interpretation, the Plantation of Ulster created a society segregated between native Catholics and settler Protestants and created a Protestant and British concentration in north east Ireland. The Ulster Scots were mostly Protestant Lowland Scottish migrants from Galloway and Ayrshire, although some came from further north in the Scottish Lowlands and from the Highlands. Ulster Scots emigrated onwards from Ireland in significant numbers to what is now the United States, Canada, Australia, New Zealand, South Africa, the West Indies, British India, and to a lesser extent to Argentina and Chile. Scotch-Irish is a traditional term for Ulster Scots who emigrated to North America. In 2014, more than 33.9 million Americans reported Irish ancestry according to the U.S. Census’ American Community Survey. The Partition of Ireland in 1921 separated Ireland into Northern and Southern Ireland. The majority of the population of Northern Ireland were unionists, who wanted to remain part of the United Kingdom, and predominantly Protestants descendants of British colonists. However a significant minority of the people of Northern Ireland were Catholic, nationalists who wanted an unified Ireland, separate from Britain. Today there is still conflict between the two groups. The Irish are renowned for their folk music, Gaelic language, Irish dance, Gaelic game, and mythology. Globally there is a large Irish diaspora. The Northern Ireland population data represent DNA samples from 207 randomly selected individuals from Northern Ireland. Samples were provided by the database release sorted by marker and country of the European Network of Forensic Institutes. 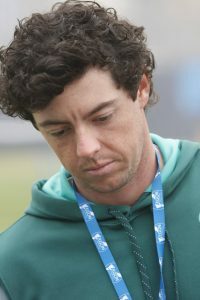 Photo: Rory McIlroy is a professional golfer who was born in Northern Ireland in 1989. He won the 2011 U.S. Open, the 2012 PGA Championship, the 2014 Open Championship and the 2014 PGA Championship. Photo is by Andrew Campbell via Wikimedia Commons.